Thanks - scarf received. I had been wanting this particular one for about a year, so took the advantage of Mother's Day and put one on order. I was delighted with the vibrant cobalt blue colour and elegant design, and I'm sure it will be a useful addition to my Wellington Winter Wardrobe. I have acquired several possum items from Teresa at Possum New Zealand, which never cease to receive favourable comments whenever I wear them. The scarves are amazingly warm, and are not only practical for the cold English winters, but also, their vibrant colours lift the dullest winter’s day. The detachable fur cuffs are an ingenious creation for dressing up a garment and can totally transform the look of a black coat or jacket into a fashion statement, and there are no worries when it comes to cleaning, as they are removable. Similarly, with the detachable boot cuffs. I can recommend these clever accessories as a versatile addition to help ‘multiply’ the look of your wardrobe. 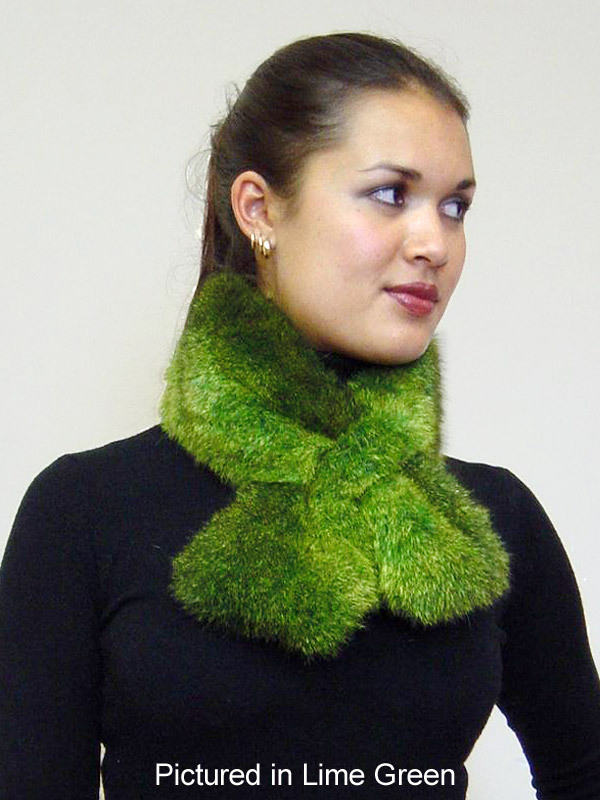 This cozy possum fur Scarf Collar is one of our best sellers and will be one of your Winter wardrobe's most practical accessories. 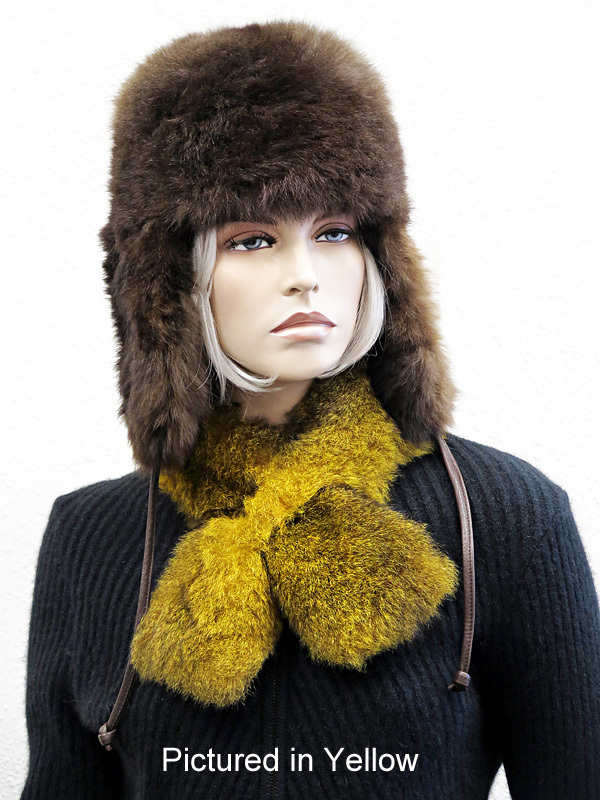 Sitting high on the neck with a cross over feature, this gorgeous fur fashion accessory will provide maximum warmth along with intrinsic glamour. These luxurious scarves feature double button holes, polyester lining and come in colours galore.